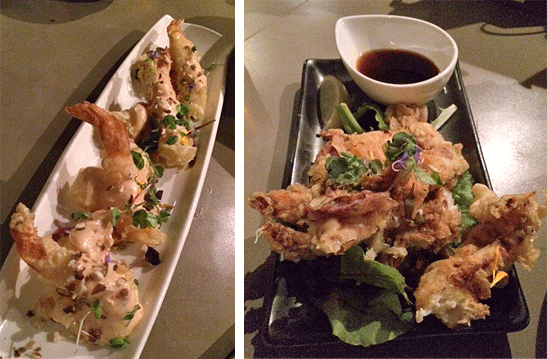 Imadake – MTL’s best take on Izakaya – Montreal restaurant | Everything Delicious. 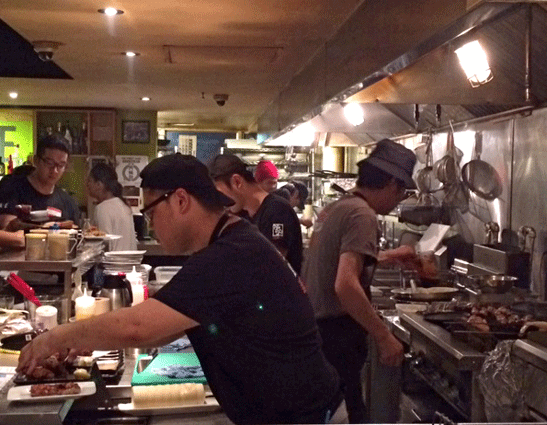 Montreal restaurants are playing catch up with the Izakaya madness that recently gripped Toronto, and from what I’ve heard Vancouver as well. 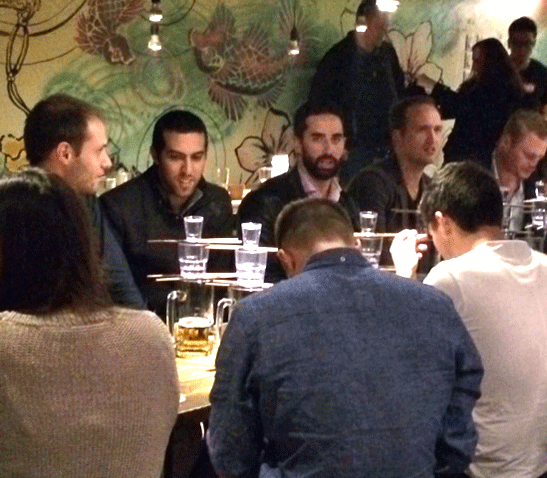 If you’ve never heard of an Izakaya, it’s essentially a lively Japanese tavern that serves beers and sake alongside tapas style dishes to share. A word of warning, don’t go to an Izakaya like Imadake if you have a craving for sushi, you won’t find any there. Toronto has an abundance of amazing Japanese eat-outs, from ramen joints like Ramen Santouka to Izakayas like Guu, the food scene from the land of the rising sun is really happening over there. Returning to La Belle Province, I decided to go on a mission to find equivalents in Montreal. Although not as developed, the MTL Japanese food scene is changing and more options are popping up all over the city. Big in Japan is still a long time favourite of mine (with pork buns to die for! 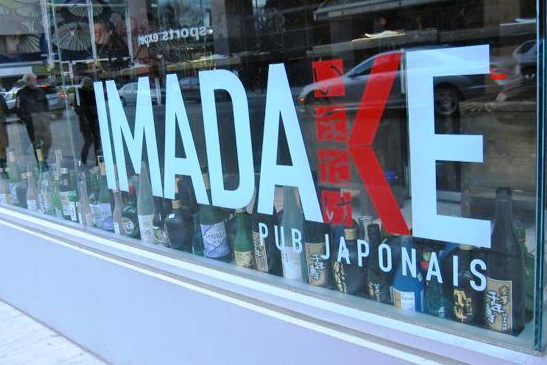 ), but I was on the look out for new alternatives and Imadake is the first one that met the high standards set by the competition in Toronto. 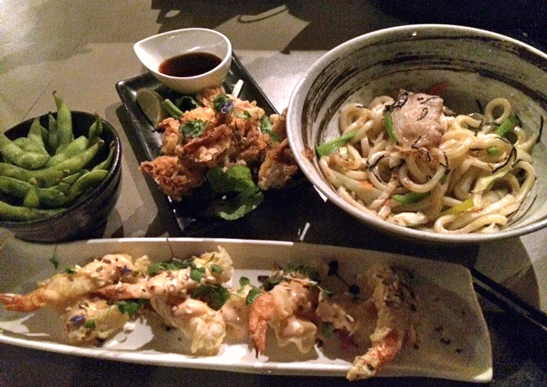 Located on a slightly shady part of St Catherine west, Imadake certainly stands out as the only hip joint on a pretty shifty strip. When walking in, you will be greeted in traditional Izakaya fashion with a loud shout “Irasshaimase” (welcome) and you will soon have forgotten all about the outside world and be absorbed by the restaurant’s vibe. We quickly ordered an Asahi and a Sapporo and 4 dishes to share. The shrimps were sooo yummy! Lightly battered (so they didn’t feel too greasy) and served with a mouth-watering Japanese mayo. The crab was delicious too, simply served with a slice of lemon and what I suspect to be Japanese Ponzu sauce. The grilled mackerel was good, but maybe more of a familiar taste so felt less exciting than the other dishes we ordered. The Udon were really flavoursome and served with thin pork slices that tasted like a soft, not too salty bacon. Miam. Despite a continuous train of delicious looking dishes passing under our noses from the kitchen, we were limited by the size of our stomachs. I will definitely have to go back to try their Okonomiyaki (Japanese pancake), their Takoyaki (Octopus balls) and of course their home-made ramen. The menu is known to change regularly so there should be no getting bored here. The vibe was great, loud but the good kind of loud. The staff were attentive and friendly, as well as equipped with a smart tablet system which made the ordering experience really smooth (you can basically order food and drinks from anyone, avoiding the annoying “check with your waitress” situations). The best part though was the excitement created by the traditional sake bomb, which consists of some magical balancing involving sake, beer & chopsticks! As we were eating, the fever of sake bombs was spreading from table to table with people challenging their neighbours to join the fun, providing plenty of entertainment for less courageous onlookers! All in all, this is the perfect place to go out with friends or have dinner before catching a film across the street at the AMC forum. Great vibe, good Japanese tapas, and considering they serve only sustainable fish, it is also a smart choice for the ecologically conscious consumer. A side of Edamame, 4 dishes and 2 beers, cost us $70 and we left full & happy. I will continue on my journey to find the best Japanese food MTL has to offer and will keep you posted. Pingback: Montreal a Table is around the corner – get ready! | Everything Delicious. 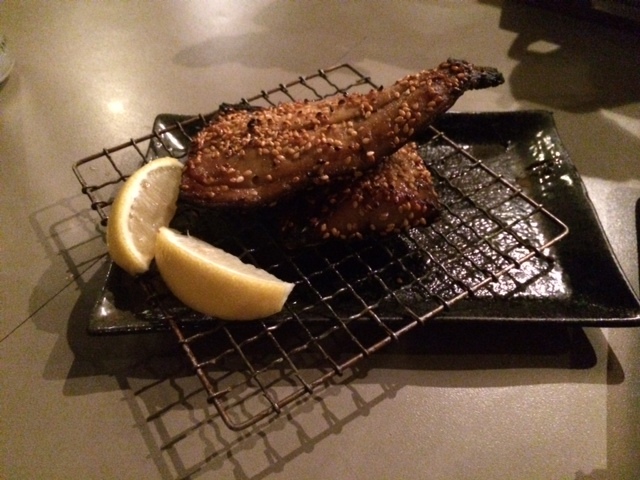 This entry was posted on October 13, 2014 by Pauline Rosen in Restaurant feed and tagged izakaya, japanese, montreal izakaya, montreal restaurant, ramen, restaurant, restaurant montreal, sake.